Mari Cordes is a nurse, organizer and House candidate who was arrested multiple times in Washington, D.C. protesting the GOP’s Obamacare repeal bill. Welcome to Interviews for Resistance. Since election night 2016, the streets of the United States have rung with resistance. People all over the country have woken up with the conviction that they must do something to fight inequality in all its forms. But many are wondering what it is they can do. In this series, we’ll be talking with experienced organizers, troublemakers and thinkers. They’ll be sharing their insights on what works, what doesn’t, and what has changed, and what’s still the same. Mari Cordes: My name is Mari Cordes. 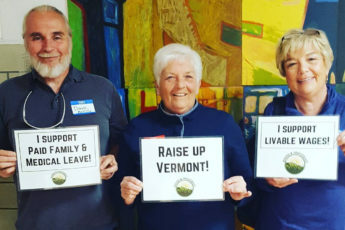 I am a registered nurse of thirty years, all in Vermont. I am a founding board member of Rights and Democracy. Sarah Jaffe: You were in Washington, D.C., on Thursday when the vote went down for healthcare reform, right? MC: I have been here since Thursday as a candidate. 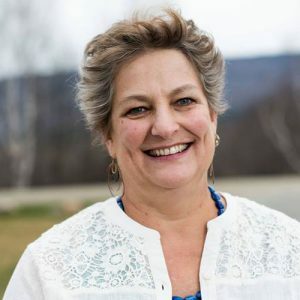 I am running for the Vermont House of Representatives again in 2018 and I am here for the Progressive Change Campaign Committee’s national candidate training. I was selected as one of 300 candidates to attend this amazing training which coincided with more actions by the Center for Popular Democracy and Housing Works in the Senate offices, in the Capitol and at Senators’ offices. I was part of the protest and the rally outside of the Capitol building the night the vote came down.